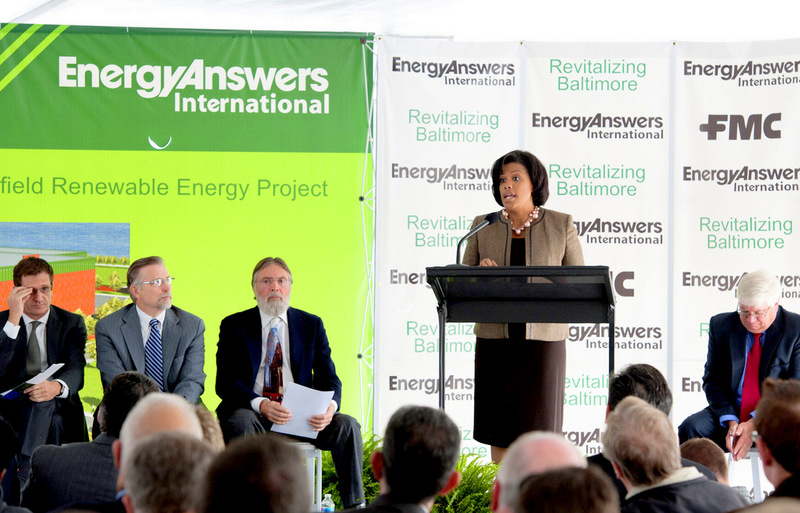 Above: Mayor Stephanie Rawlings-Blake speaks at a 2010 ceremony celebrating Energy Answers’ planned trash-burning plant. Back in August 2010, in a move she said would spur “green collar” jobs and “new industry” for Baltimore, Mayor Stephanie Rawings-Blake announced that Baltimore’s government, city schools and 20 other regional entities had signed a contract to purchase power from a trash-burning power plant planned at an old chemical facility near Curtis Bay. “The Fairfield Renewable Energy Project is an exciting addition to the entire region,” Rawlings-Blake declared in a press release by the Baltimore Metropolitan Council, a group which she then chaired. For Energy Answers, the company proposing the plant, it was a major boost to have a 10-year contract with the Baltimore Regional Cooperative Purchasing Committee (BRCPC), which includes city, county and municipal governments and school systems, as well as cultural institutions such as the Baltimore Museum of Art and the Walters Art Gallery. But on February 10, 2015 – when the BRCPC voted to cancel the contract – there was no peppy press release. For nine days there was silence. “I think they did this as quietly as they could,” observed Tom Pelton, a spokesman for the Environmental Integrity Project (EIP), part of a grassroots coalition that has maintained that pollution from the plant would harm the health of an area already burdened by years of industry. What ultimately prompted a BRCPC spokeswoman to speak up yesterday were media inquiries sparked by all the crowing from opponents of the project first proposed in 2009. “Nation’s largest trash incinerator project dealt blow by termination of energy contract,” said the press release by EIP and Free Your Voice, a human rights committee of the labor advocacy group United Workers. Free Your Voice took credit for the BRCPC vote, saying it was the result of years of organizing and lobbying by their members. 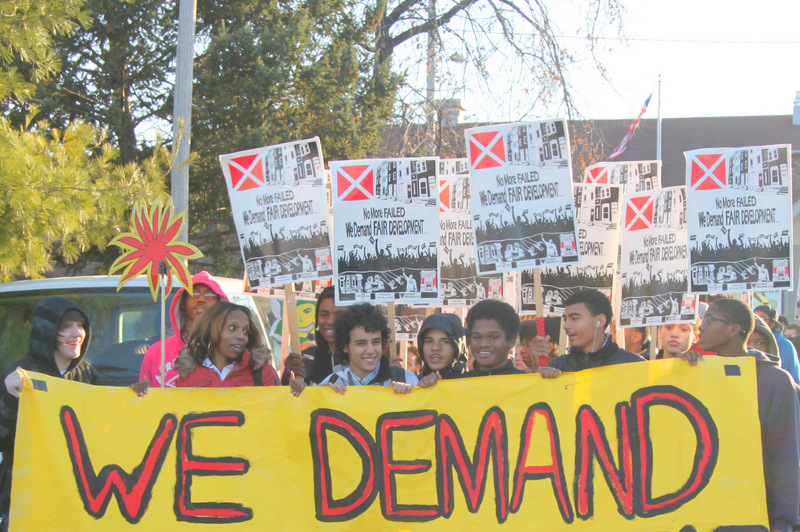 The group, composed of students, parents, teachers and residents of the longtime industrial area, knocked on doors, gathered signatures, held protests, staged a riveting rap performance before members of the city school board and brought three board members to Curtis Bay to learn facts about the power plant – to be built less than a mile from Benjamin Franklin High School. Free Your Voice from Free Your Voice on Vimeo. Under its state permit, the plant would be allowed to burn 4,000 tons of material annually, including ground-up tires, wood waste and shredded auto waste (vinyl, plastic and metal). The permit allows the release of 240 pounds of mercury, 147 tons of fine soot, 601 tons of nitrogen oxide, 446 tons of sulfur dioxide, 1,000 pounds of lead and 140 pounds of cadmium. Supporters said those emissions are within acceptable limits and stressed the project’s benefits as a job generator and alternative to overflowing landfills. Opponents disagreed. 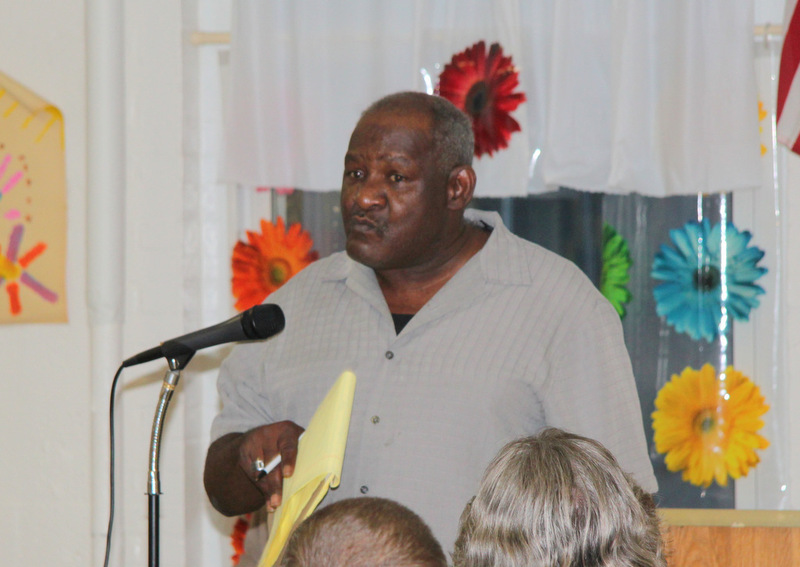 “This troubled project has had persistent and ongoing problems complying with multiple laws, including state incinerator siting laws and the federal Clean Air Act,” said EIP attorney Leah Kelly. Hoping to torpedo the BRCPC power purchasing contract, Free Your Voice lobbied hard, even finding artists to take the issue to area museum directors, organizers say. They also found national publications, such as Grist.org and The New York Times, to give this incinerator battle high-profile page-one coverage. Their efforts came on the heels of multiple objections raised over the years by less organized but still vociferous neighborhood opponents. • Did it mean those earnest entreaties from the Free Your Voice kids hit their mark? • Did it it signal a loss of support in City Hall and the Statehouse for a project that had previously enjoyed strong backing by Rawlings-Blake and then-Gov. Martin O’Malley? • Was the vote final? “BRCPC, in its continuing effort to provide the most reliable and cost-efficient energy to its members, voted to go in a different direction and recommended termination of its contracts with Energy Answers,” she said, reading the prepared sentence over the phone. 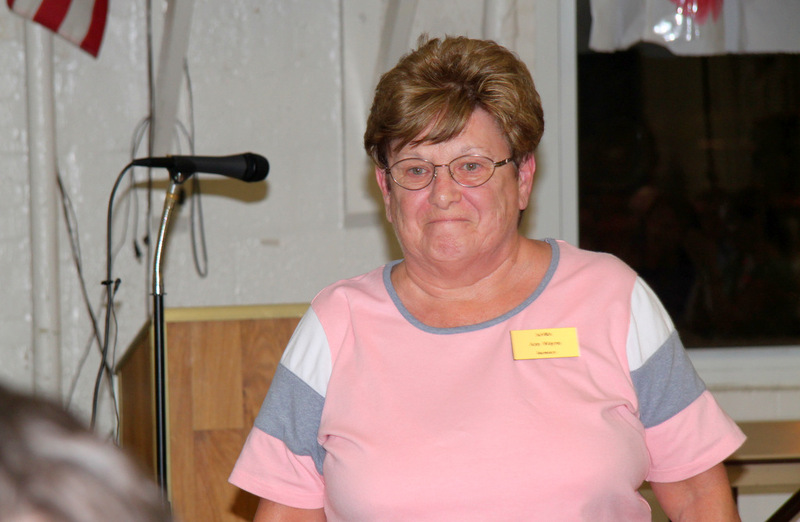 “Wimpy language,” sighed Greg Sawtell a United Workers organizer with Free Your Voice. Still, even with the measured phrasing, the vote raised a sticky question for the mayor. Was she reversing her position on the plant, forsaking a project whose principals had contributed very heavily to her campaign coffers and those of other prominent Maryland Democrats? A Brew analysis of 2010-11 contributions shows that O’Malley, who signed an energy credit bill that benefited Energy Answers, received $9,000 from the Albany, N.Y.-based company. Former Lt. Gov. Anthony Brown received $8,000, and Rawlings-Blake’s campaign committee picked up $1,500. Even more generous was Energy Answers’ contribution to the Democratic Governors Association. The company lavished the DGA with a $100,000 donation on May 17, 2010, on-line campaign records show. Several months later, O’Malley was named chairman of the governors association. The mayor’s spokesman, Kevin Harris, did not return an email from The Brew seeking comment. It fell to Jeffrey Raymond, spokesman for the city Department of Public Works, to provide this non-commital answer to The Brew’s questions about where the mayor stands. Meanwhile, the spokeswoman for Gov. Larry Hogan – asked for the new Republican administration’s position on the project – still has not responded with one. With construction on the project barely even begun, meanwhile, it remains in limbo. In June, the Maryland Department of the Environment (MDE) issued a stop-work order for the project, saying Energy Answers had failed to purchase pollution offsets and was subject to fines of up to $8 million. The company is still in settlement discussions with the state, said MDE spokesman Jay Apperson. But those details, Apperson said, have not been finalized.